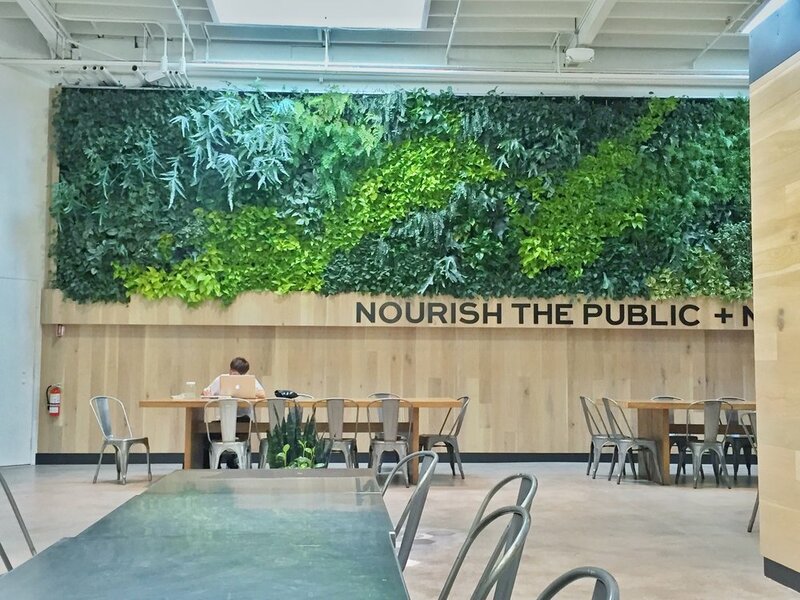 There is a vibrant 40’ vertical garden mounted on the wall above the dining area in the Emeryville Public Market. Living Green’s designer Brandon Pruett worked with the market owners and interior designers to add this large scale piece of green art into the remodel of the dining space. The remodel included adding skylights, healthy food options, and a better waste management program including compostable food containers and utensils. The over-all goal of the remodel was to create a market place emporium that was more sustainable, healthy and green. 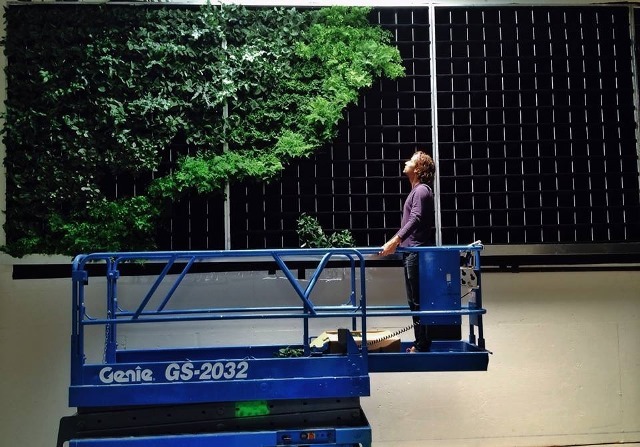 The 3,800 plants we added into the vertical garden greatly enhance the space, increased oxygen, sound reduction, cooling air from the plant transpiration, not to mention a beautiful garden to enjoy while eating. The garden has a built in irrigation system that runs for just a few minutes daily to keep the wall evenly wet. A single irrigation drip line sits at the top of the wall and emits water that moves downward through the Flora Felt Grow Strips, a recycled felt material from Plants On Walls. We loving working on these projects so contact us to set up a vertical garden consultation!